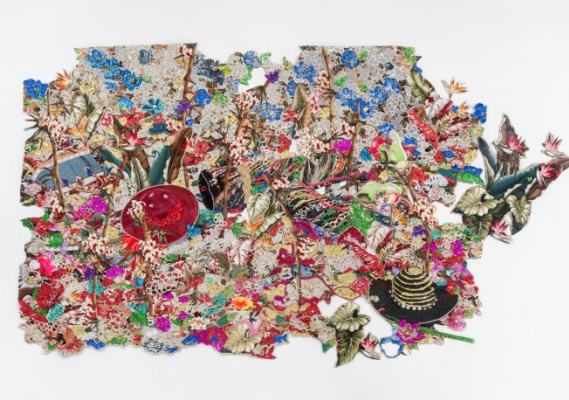 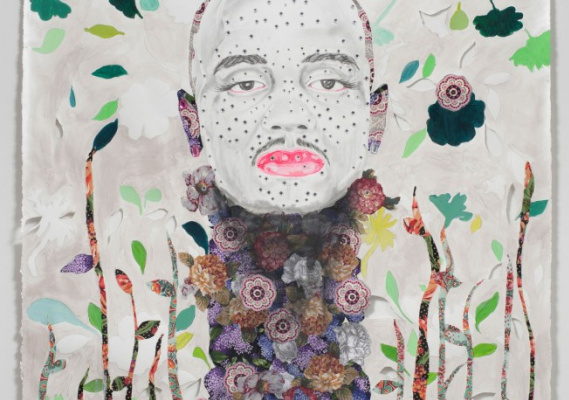 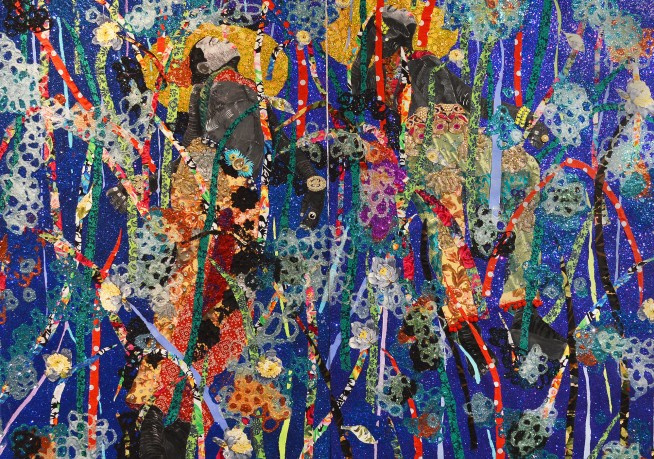 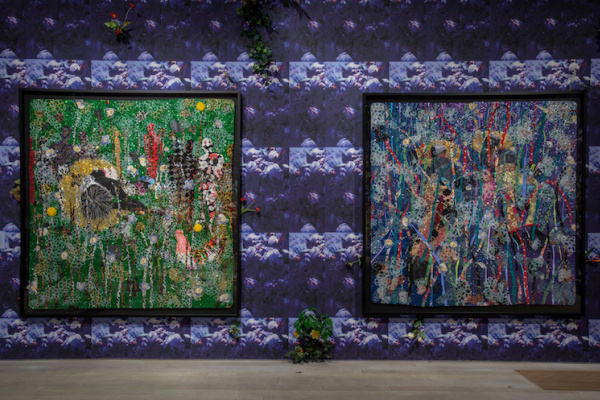 Exhibition "Ebony J. Patterson:" ... 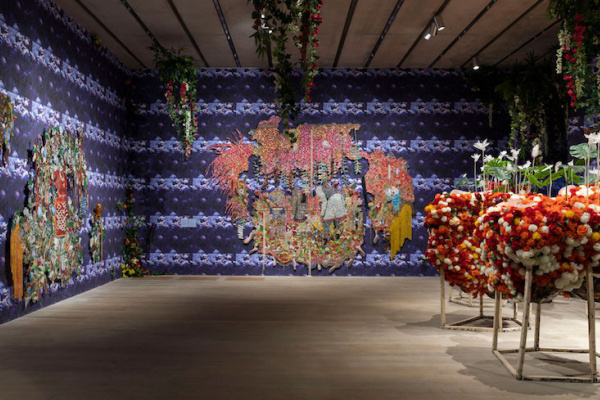 While the dew is still on the roses ...”, Held at the Perez Museum of Art (Miami), presents the work of Kingston-born artist Ebony J. Patterson (1981). 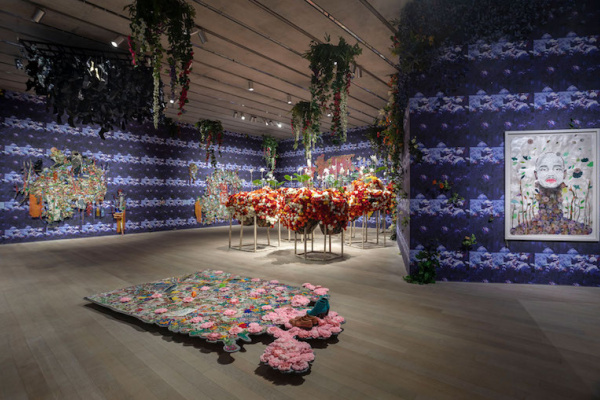 This is the most significant presentation of the artist’s works to date; the project includes examples of Patterson’s work completed in the last five years, embedded in the new installation environment that forms the night garden. 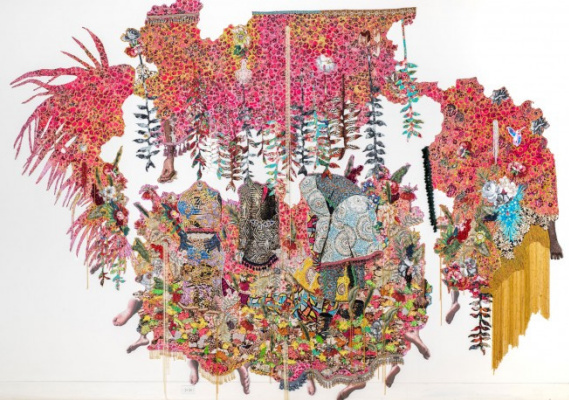 Creativity Ebony Patterson, known for her drawings, tapestries, videos, sculptures and installations using surfaces covered with flowers, sparkles, lace and beads, explores the forms of embellishment associated with youth culture in communities deprived of civil rights. 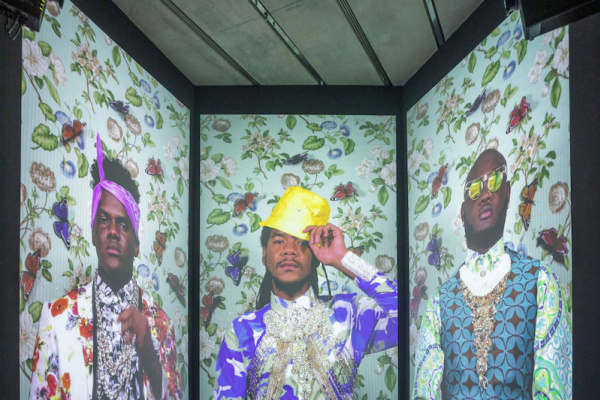 Her neo-baroque works are dedicated to violence, masculinity, "bling", visibility and invisibility in the postcolonial context of her native Jamaica and in black youth culture all over the world. 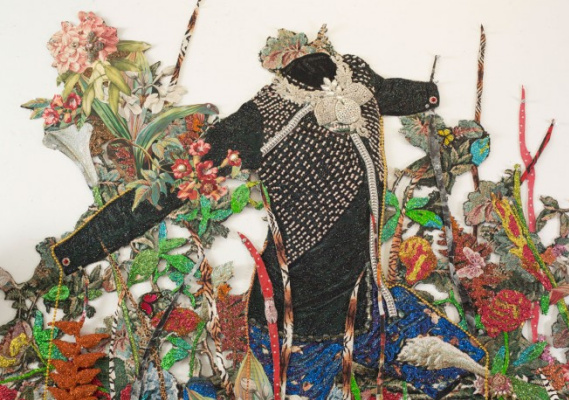 Photos from the exhibition: the site art-agenda.com.